Participating local chefs: Chef Orchid Paulmeier, One Hot Mama’s and The Lodge Craft Beer and Burger Bar; Chef Nick Unangst, SERG Restaurant Group; Chef Yuri Gow, 843 restaurant; Chef Lee Lucier; Chef Brad Parker, Jameson’s Charhouse; Chef Shawn Ross, Reilley’s Grill and Bar; Chef Luke Lyons, The Fabulous Frankie Bones; Chef Ben Harris, Poseidon. A “Chefs Relief Pop Up” will transpire on Hilton Head Island to raise funds to aid in the Philippine storm relief currently underway in the aftermath of Typhoon Haiyan. 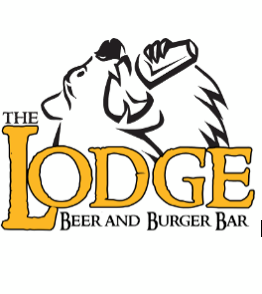 The event will transpire Tuesday, November 19, 2013, 6:15 – 9:00 p.m. at The Lodge Craft Beer and Burger Bar, Reilley’s Plaza, Greenwood Drive, Hilton Head Island, South Carolina. The evening will encompass a six-course meal and cost $65 per person with one hundred percent (100%) of the proceeds going to the Philippine Red Cross. Please note that this event has a limited reservation capacity and will sell out. Those unable to attend this event or who desire to make a monetary contribution to assist the relief effort in the Philippines can make a cash donation to One Hot Mamas that will be incorporated into the evening’s proceeds. Music to Your Mouth! — Bald Eagles in South Carolina!